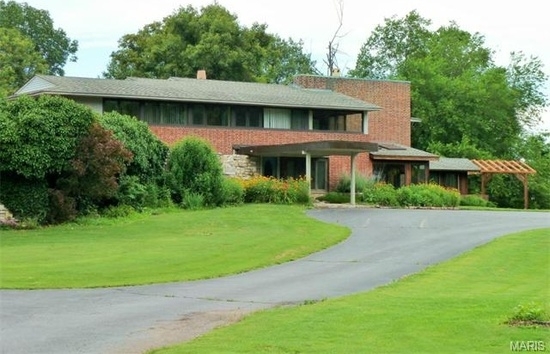 Harris Armstrong’s 1942-43 house for Evarts Graham is for sale, located at 18 Jamestown Acres. This is probably his most important residential design of these breakthrough years of his career, and it is in a beautiful location, on a high bluff overlooking the Missouri River towards Alton. Dr. Evarts Graham was one of the giants of medical research in St. Louis, the man who discovered the link between smoking and lung cancer. So the house is significant both for its architecture and its associations. The house is gated and has never been open to the public, but now it is for sale! I would recommend that any serious buyers consider attending an open house! Wow, i would like to see some more pictures from the inside. I’m sure its hard Dr Armstrong to sell this house. Previous post 3D Imaging – The Future of Real Estate? Next post Do you need a secret passage built in your home?